With delivery paperwork concluded, ZenithJet, the Bombardier Global and Challenger specialist, announced it oversaw completion of the first in-service Global 7500—C-FXAI—which Bombardier claims as the world’s longest range and largest purpose-built business jet. “We can now appreciate we had the privilege of experiencing this innovative aircraft before virtually anyone outside Bombardier,” said ZenithJet president George Tsopeis. The 13-passenger, four-zone cabin includes a forward four-place club suite; a six-seat conference suite; an entertainment suite with berthable divan; an aft private suite featuring a permanent bed; and crew rest area. The twinjet is owned by aircraft brokerage Jetcraft and Stonebriar Commercial Finance, and Bombardier has leased it for a demonstration tour that begins this weekend, with its display at Signature Flight Support’s Atlanta’s DeKalb-Peachtree Airport (PDK) FBO in conjunction with the Super Bowl. 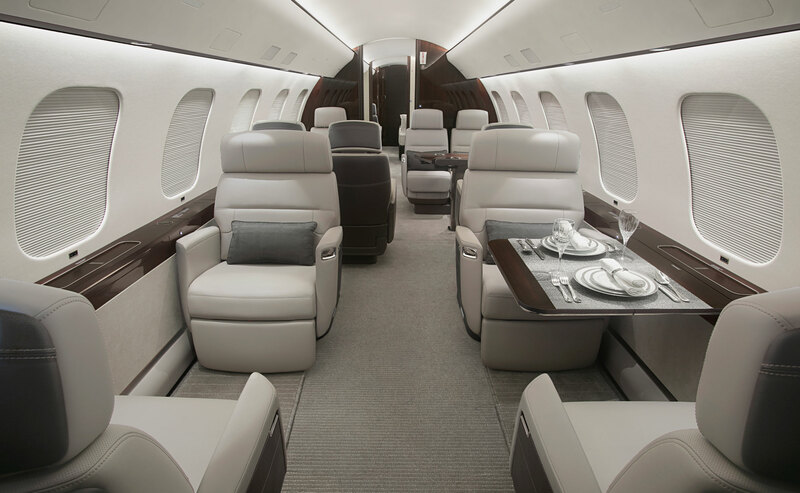 Montreal, Canada-based ZenithJet has more than 100 Bombardier Global projects under its belt that include maintenance, refurbishments, acquisitions and operating the aircraft, but Tsopeis called the 7500 project “our validation” as a completions oversight provider for the Global line. Bombardier plans to deliver 15 to 20 Global 7500s this year. Tsopeis and ZenithJet founder Nick Houseman both formerly held senior executive positions at Bombardier Business Aircraft.